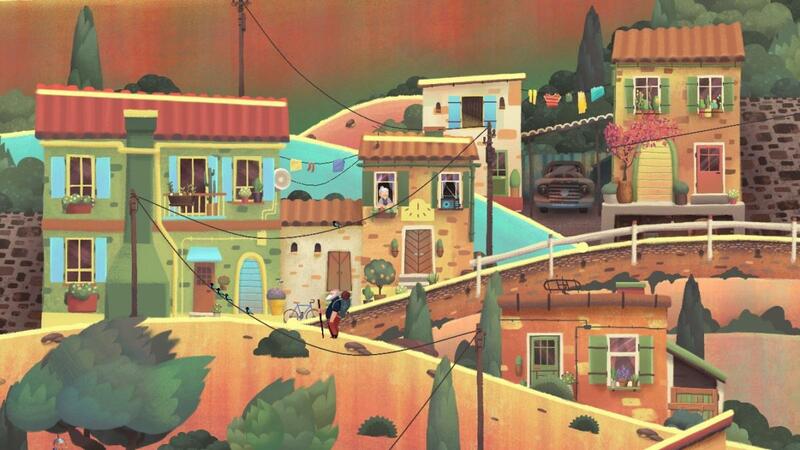 This beautiful, hand-drawn point-and-click adventure game is whimsical and poignant and maybe just a tiny bit cliché. When it comes to mobile gaming, immersion isn’t usually high on the list of priorities—it’s pretty hard to lose yourself in a 4.7-inch screen, no matter how engaging the story is. And that’s why games that are able to transport you to another world—or rather, multiple other worlds—are so impressive. 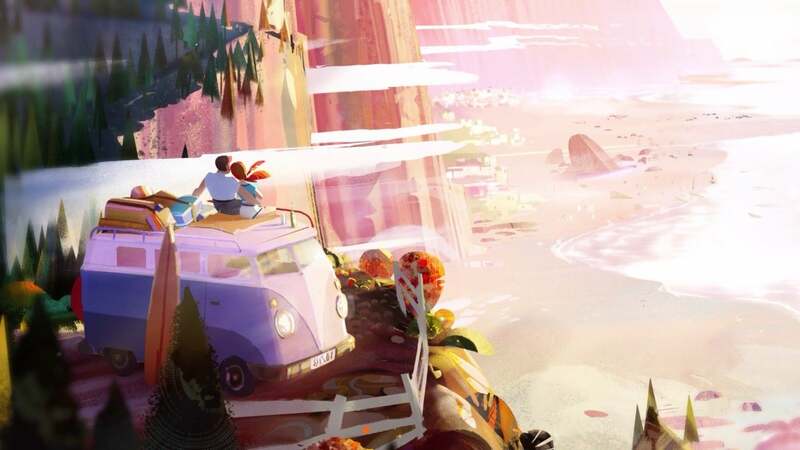 Old Man’s Journey is an incredibly atmospheric, narrative-driven adventure game that will take you through quaint French villages, past pastoral countryside, and across the sea on a surprisingly relatable journey. This letter (which you never get to actually read) is what launches your adventure. The game begins at the Old Man’s residence—a lonely cliff-side retreat overlooking a gray, rocky shore. 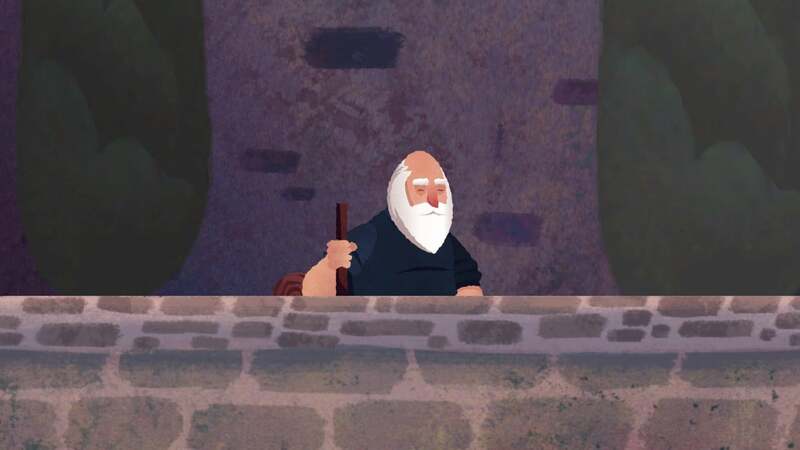 Your character, the titular Old Man, stands at the top of a rickety wooden staircase, staring off into the clouds. 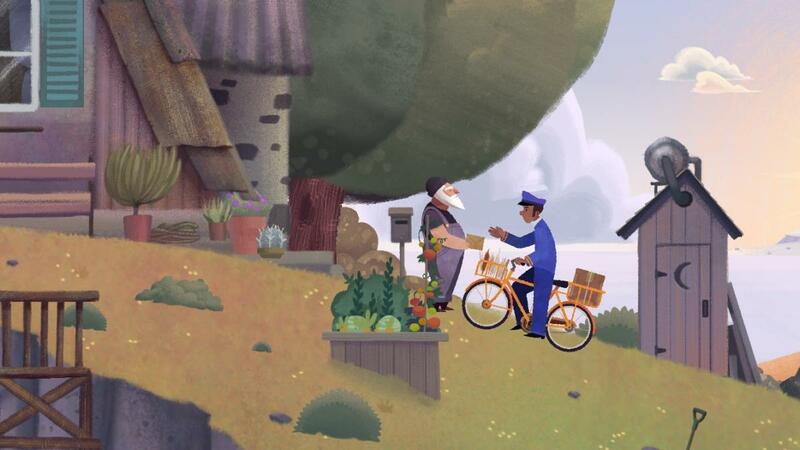 A bicycle messenger cycles up the hill, stops near the outhouse, and hands the Old Man a plain brown envelope. After he reads the contents, the Old Man disappears into his house and then pops out the other side, armed with a camping pack and a walking stick—and it’s time for the journey to begin. 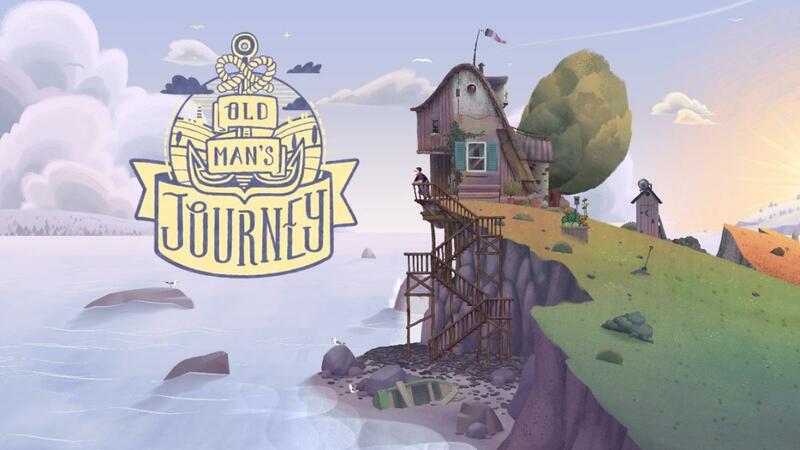 The gameplay is unique: It might be a bit of a stretch to call Old Man’s Journey a game—the adventure feels more like an elaborate interactive storybook than an actual game—but it does feature puzzles and an interesting environment-manipulating game mechanic. Moving the Old Man around is pretty simple (at first): Tap an area on the screen to mark his destination with an animated walking stick, and the Old Man will start making his way over. If you tap an area that’s not accessible, such as a hill that doesn’t connect to the plane the Old Man is currently on, he’ll scratch his head and throw up a question mark—that’s your cue to figure out how to make that area accessible to him. You can do this by manipulating the environment. Think those cliffs and hills are static? Think again. 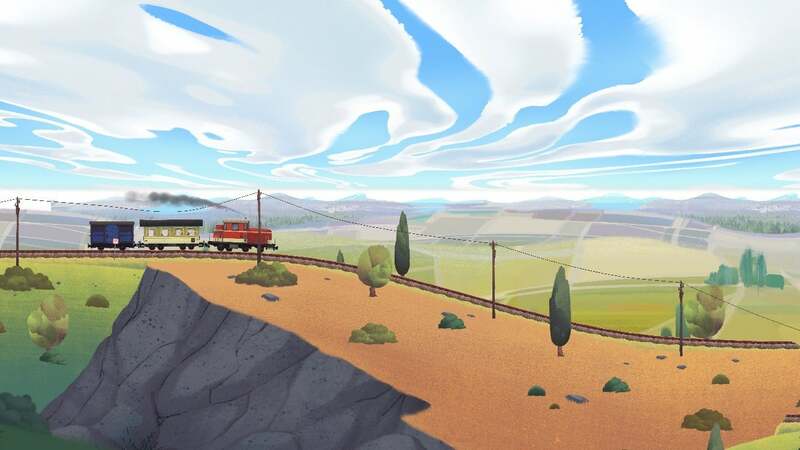 The Old Man’s Journey game world is made up of layers and layers of rolling hills, countryside cliffs, and moveable mountains—all you have to do is drag these layers up and down until they connect to each other and create a pathway the Old Man can manage. There are a couple of rules you’ll have to follow while you’re re-creating the environment. First, not all elements have the same amount of flexibility—some, like waterfalls and man-made structures, aren’t movable at all, while others, like gradually-sloping hills, can be almost completely flattened or peaked, depending on what you need. Second, you can’t move the plane that the Old Man is standing on. In later scenes this rule will become more important, and you’ll need to figure out where you can put the Old Man while you push his environment around to suit your needs. Tap the screen, and pale yellow lines will appear on the parts of the environment that can be pushed around. To move the environment, all you have to do is tap and hold the screen until lines appear on the movable planes. You’ll then be able to tap and drag those planes up and down until they meet each other, and the Old Man can hop from one plane to another. It’s not all hills and mountains—this train puzzles has you move tracks up and down quickly, to meet the moving train. 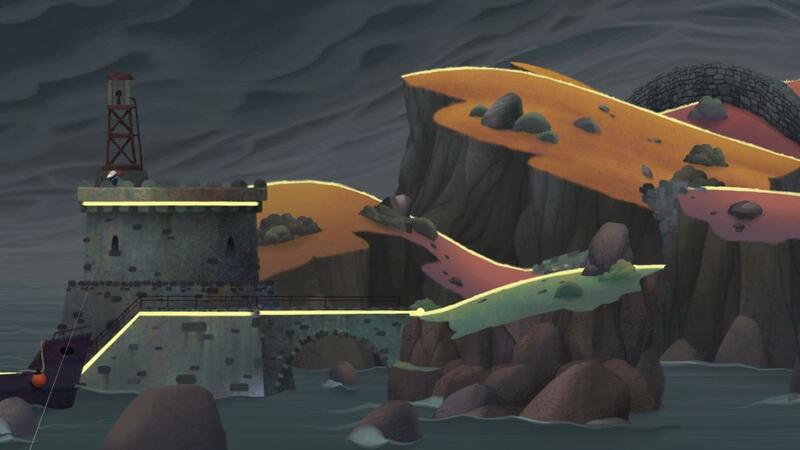 Raising and lowering hills makes up the bulk of the game, but you’ll also see a handful of other puzzle elements, including brick walls that need to be smashed with rolling stones, waterfalls that will whisk you to the plane below, and impenetrable clusters of sheep that will only shuffle between set grass patches. A story in pictures: Old Man’s Journey has a very strong, well-written narrative… even though there’s no actual narration, because the entire story is told in pictures. The Old Man takes frequent breaks to rest and reminisce. The Old Man is, well, an old man, so he needs to pause frequently to rest and catch his breath. On your journey, you’ll come across areas designed just for this: Benches, vista points, and other resting places where the Old Man can take a seat or lean on a wall before resuming his adventure. 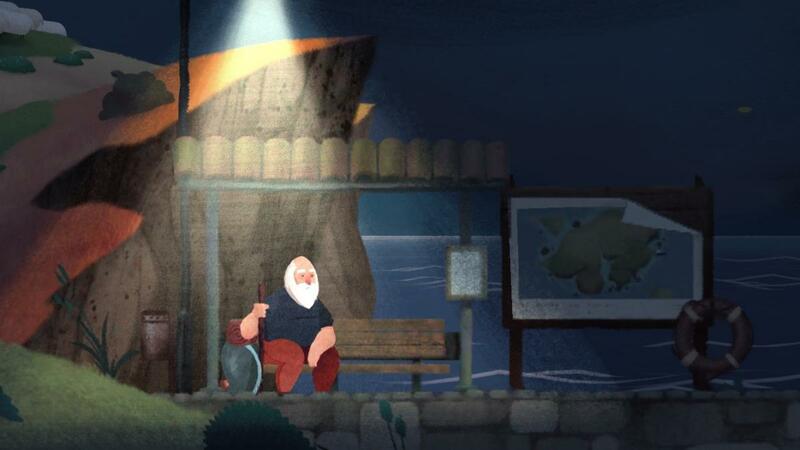 When the Old Man rests, he also likes to contemplate his life—a small gold circle will appear at the bottom of the screen, and if you tap it you’ll see a snapshot from his earlier life. Not all memories are happy ones. These memories—single, animated scenes—make up the bulk of the narrative. If you choose to view them, they take you through the Old Man’s life, and not all of them are happy. You’ll see the Old Man as he kisses his newlywed bride, plays in the rain with his toddler, pours over a x-marked map late at night, and as he walks away from his house and family in the pouring rain. There are no words in the game, so the exact details are left up to you, but the game’s atmosphere conjures up all of the weighty emotion that the developers are clearly trying to get you to feel. The story is touching and a little cliché. I won’t spoil the ending for you, but don’t hold out for a plot twist—the game’s narrative arc is nicely done but pretty predictable. 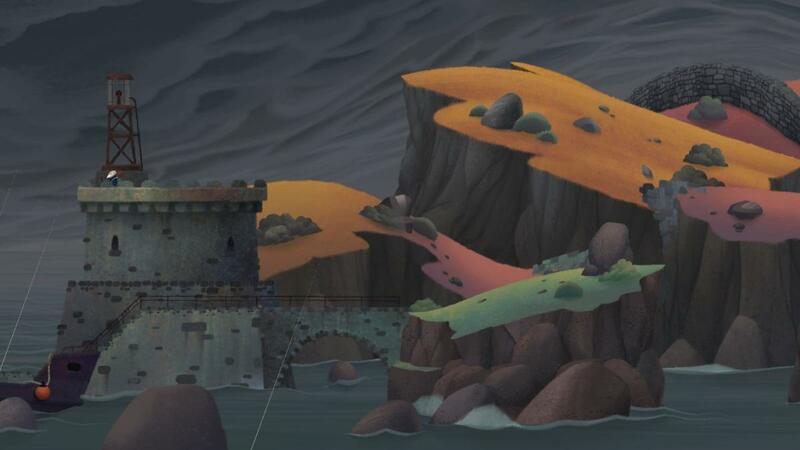 It’s breath-taking: Everything about this game is gorgeous: The vibrant, hand-drawn graphics, the atmospheric color palettes, the evocative soundtrack, and the rest. The first leg of the Old Man’s journey is through this charming little village. The graphics in this game are incredible. 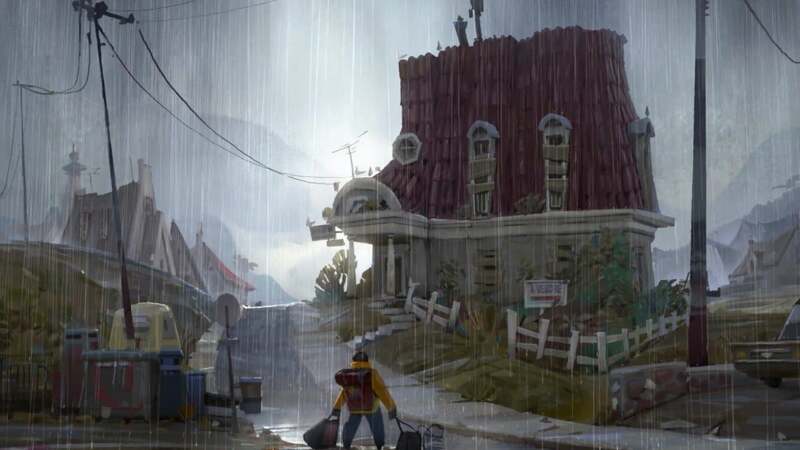 Each scene is filled with details and small animations that bring the world to life: Thin powerlines that bounce as you move hills and mountains, cobblestone huts crawling with multi-colored ivy, and dynamic, foamy waterfalls. 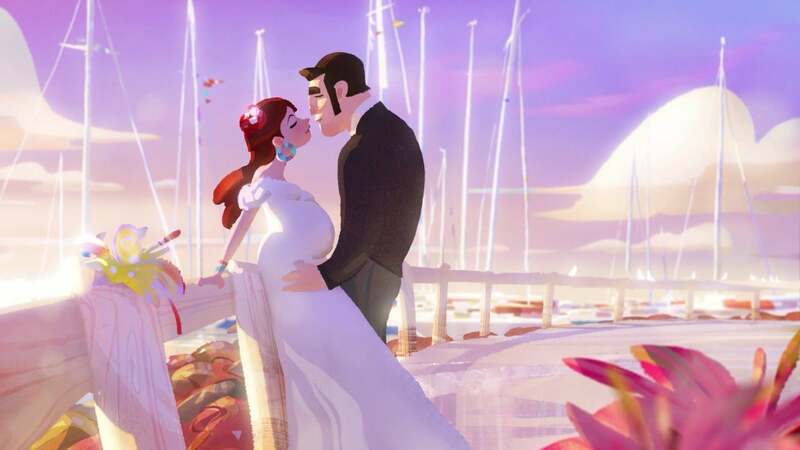 The visuals are two-dimensional, but the scenes are layered with both independently-moving and manipulatable elements, so it feels like you’re exploring a three-dimensional world. In later scenes, mist and lighting effects add visual depth. As the journey progresses, you’ll see other worlds—a misty oceanfront, stone ruins in a perpetual downpour, and even the bottom of the ocean (it starts to get weird). The memory scenes have their own individual atmospheres. The memory scenes also have their own individual atmospheres. The beginnings of the Old Man’s relationship memories are soft, pastel-colored, and dream-like, but you’ll also see darker memories mired in regret. The journey isn’t all pretty sunsets and happy moments, and the game’s ability to flip the atmosphere in a second is definitely impressive—yet another reason why this game is worth the download.